A different twist on a highlights video tells the story of a season in eight minutes. 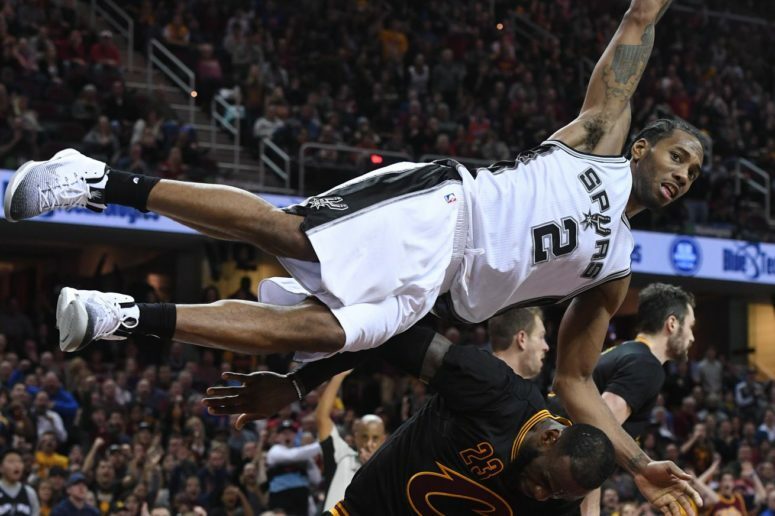 Here’s the San Antonio Spurs’ 2016-17 season through the lens of a single Kawhi Leonard highlight from every game he played in. It has the steal, streak and slam plays you expect, the circus shots, the head-scratchers, the pull-up transition threes, the crazy blocks, the from-way-downtown jumpers, the fast break dunks, the alley-oops, the finish-through-contact and-ones, and the out-of-nowhere rebound flushes. Just about every kind of play you’d expect to see, and some you wouldn’t. Enjoy the video, and be sure to catch the first PtR Mailbag Facebook Live stream at 6pm CDT today.